He remembers having read somewhere that Baldus de Ubaldis – the greatest legal thinker of the Middle Ages – considered that the law against boycotts and restraint of trade was part of natural law, and thus pre-empted postive law and was universally applicable. Anybody finding the right quote is welcome to share a beer with Antoine. 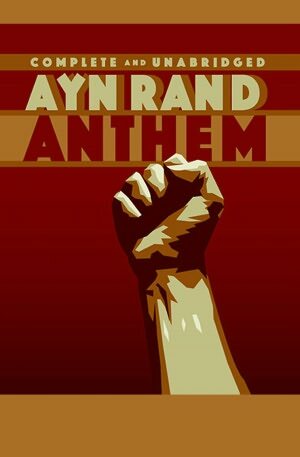 In her great fiction Anthem, Ayn Rand describes a word where humans cannot use the word “I” on pain of being sentenced to atrocities. This is part of a greater effort of the dictatorship to suppress the concept of individuality. To some extent, EU competition law shares analogy with Rand’s novell. It is sometimes as if Commission officials were forbidden by the EU Courts’ case-law to use the language of economics. This could be allegedly part of a larger plan to undermine the relevance of economic concepts. An example: in 2008, a Lithuanian Court asked the Commission whether the proof that an information exchange agreement infringed Article 101 TFEU was conditional on evidence that the market structure was “oligopolistic“. In accordance with Article 15(1) of Regulation 1/2003, the Commission released its opinion. In an ideal world, where economic reasoning would freely inform legal interpretation, the answer would be a resounding yes. Yet, according to the Commission, the case-law of the EU Courts does not explicitly request the proof of an “oligopolistic” market structure for a finding of an unlawful information exchange agreement. Given this, and in stark contradiction with modern economic theory, the Commission denies that “oligopoly” is a necessary pre-condition for a restriction of competition to occur in a such setting. Blinded by obedience to murky judicial court-speak, the Commission thus turns its back on a basic economic concept. This is even more suprising given that in the following paragraph, the Commission itself recognizes that the level of concentration and the structure of supply are important features in the analysis.